We have other specials available, so call or stop by today to find a membership that fits your needs. Studies show that cardio workouts are essential for heart health. 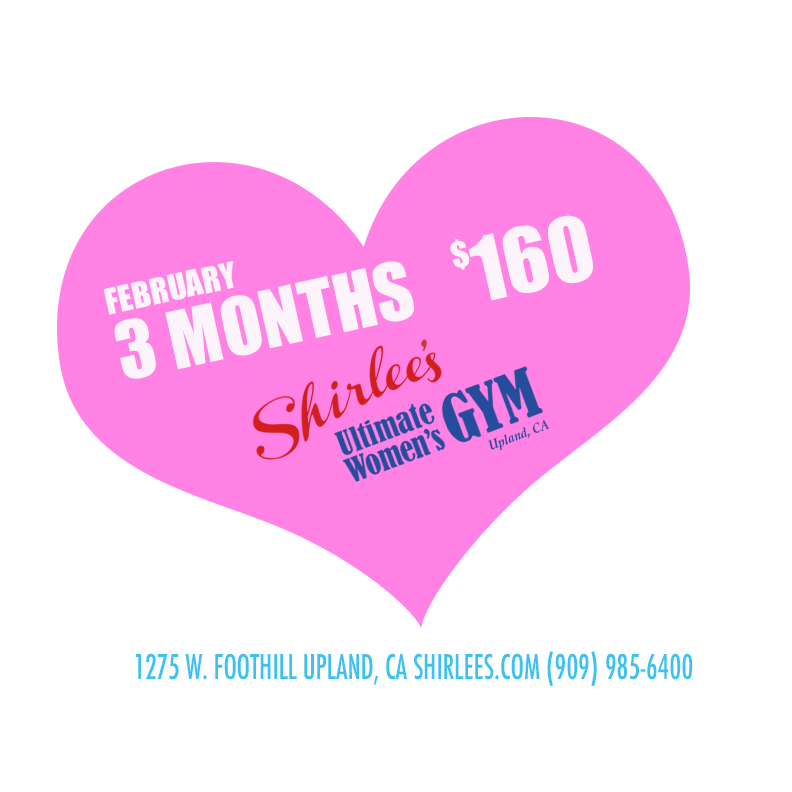 Shirlee’s offers a cardio room with extensive equipment, a cycle room, a track, a pool, and a full schedule of fun classes. Everything you need to get your heart stronger. At the Ultimate Women’s Gym, we do everything in our power to help you achieve your fitness goals and stay in shape for life. We offer more than two acres of resort fitness, a ton of fun and effective classes, certified personal training, and a supportive atmosphere of strong, positive women. View a slideshow of 100 photos showing our gym. 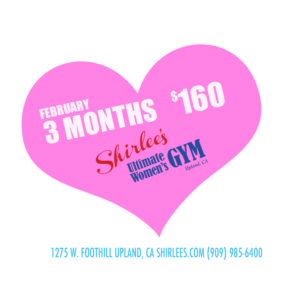 Shirlee’s offers resort-like fitness on two acres with complete strength training and cardio equipment; a group exercise studio; a cycle studio; an outdoor track and fitpark; and a pool/jacuzzi/spa. We are open 365 days a year with convenient hours. Our recently renovated facilities are spotless, well air conditioned, and we have easy parking. We are conveniently located on Foothill Blvd near Mountain Ave. in Upland. 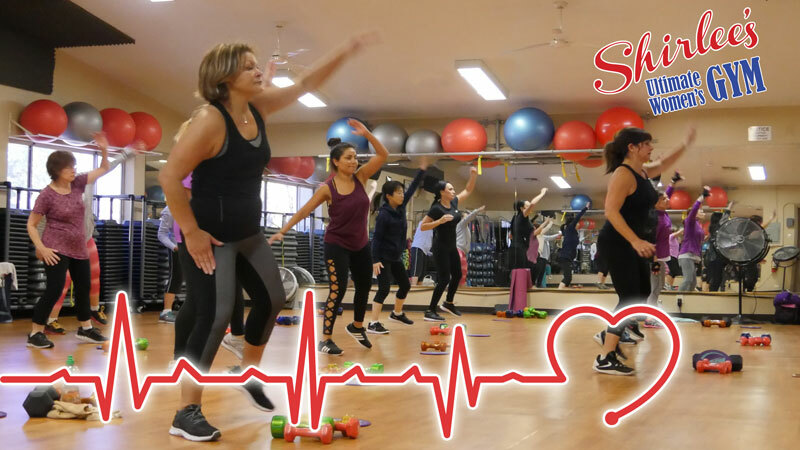 We offer an extensive schedule of Group Classes with everything from Aqua to Zumba taught by enthusiastic instructors who make exercise fun. Our personal trainers are certified and experienced in working with women of all shapes, sizes and abilities. Massage is also available on site. Read testimonials from our members and Yelp reviews. Then come check us out, take a tour, get a free pass—we think you will love our supportive atmosphere. We will help you look better, feel better and be better! 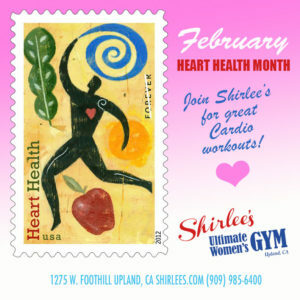 See our members get their hearts pumping in our short February video above.